Microsoft Teams is going to replace Skype for Business Online. Microsoft Teams is now generally available in Office 365 so it’s a good time to take a look on how you can install Microsoft Teams so it’s installed on every computer in your organisation. In this article, we will look into how you can Install or Deploy Microsoft Teams. Using the setup.exe or the MSI file to deploy the Teams Installer. Before we start installing Microsoft Teams I first need to explain a bit about the installation self. Or to be more specific, about the location of the installation. Microsoft wants Teams to be always up to date for the best user experience. Normal users can’t install or update software that is installed under the Program Files folder, so they decided to install Microsoft Teams in the local AppData of the user. This way Teams can stay up to date because the user can install in the AppData folder. But this also means that there will be a Teams.exe for every user that logs in to a computer. Not an ideal situation for larger organisations. Also, Software Restriction Policies can be an issue, blocking users from installing or updating Microsoft Teams in the AppData folder. The MSI won’t fix this issue, it will only prepare the installer on the computer so Teams will be installed automatically after a users logs in. Users can Install Microsoft Teams them self, they can download the installer from the Teams website or from the Microsoft Teams download page. The users don’t need administrator rights to install, because Teams will be installed in the user’s profile folder. After the user is logged in on https://teams.microsoft.com he or she gets the online version of Microsoft Teams. In the lower left corn,er you will find the menu item “App Downloaden”, this will download an install the Microsoft Teams Desktop App. Microsoft Teams is self-updating, so the user’s don’t have to worry about keeping the client up to date. The Microsoft Teams Client is available for Windows, Mac and Mobile phones. By default, the client will be installed in the user profile, %userprofile%\Appdata\Local\Microsoft\Teams. Now we don’t want that every user needs to download and install Microsoft Teams them self. So we have two options to deploy it to the user. There is also an MSI package available for Windows. This package is suitable to use with a deployment program like PDQ or SCCM and can also be used with a GPO. You can download the Microsoft Teams 32bit Client MSI file here and the 64bit Client here. The Microsoft Teams Setup.exe installer only comes with a silent install or silent uninstall switch. 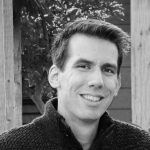 You can use this to create a PowerShell script that runs when a user’s logs in to install the Teams Client. Download the installer and place it on a network share or you can also place it in the NetLogon folder. We can install Microsoft Teams with this simple command. This needs to be runt under the user context mode, because it will install Teams in the %userprofile%\appdata. %userprofile%\appdata\Microsoft\Teams\ won’t be removed, neither will the file update.exe when you uninstall Teams. An easier why to install Teams is to install the Teams Installer on every computer. The Teams Installer is placed in the Program Files folder and will run automatically when a new users logs in to the computer. It will then install Teams in the userprofile folder. You can also deploy the MSI file with a Group Policy. First, make sure you place the MSI file in a central location. The netlogon folder is always a pretty good place for this (\\domain.local\netlogon). If you get an error “There is no software installation data object in the Active Directory” then make sure that the Authenticate Users have read permission on the folder and file. 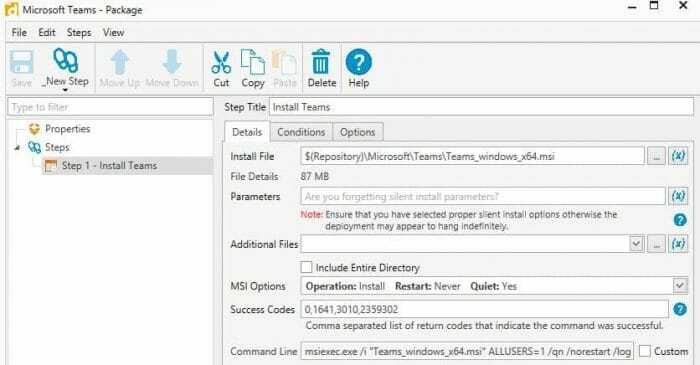 If you have a deployment tool then you can use that of course to install the Teams Installer. You will need to use the MSI file, this will install the Teams Installer in the Program Files folder and it will run automatically for when a user is logging in to the computer. Deploying Microsoft Teams Client is pretty straightforward, just run de MSI file with the default ALLUSERS=1 /qn /norestart options to silently install it. If you or a user has already installed Teams with the setup.exe file, then the Teams Installer won’t run for that user. That shouldn’t be an issue, because Teams will stay up to date by itself, but if you want to remove it you can use a cleanup script that Microsoft has provided. Installing Microsoft Teams for multiple users is pretty simple, even though it’s installed for every user. The install is capable of detecting existing installations and avoids reinstalling when you just removed it. (if leaves a .dead file in the program folder). With the self-update capability, you don’t have to update the client for all the users. While Microsoft Teams should be installed in the %userprofile%\appdata\local folder I have the situation that it’s actually installed in C:\ProgramData\%username%\Microsoft\Teams. I haven’t figured out why this is happening. The documentation doesn’t mention anything about the ProgramData folder so I have reached out the Microsoft if they can explain why this is happening. The only thing I can come up with is our Software Restriction Policy. We block every .exe file in the %userprofile% folders, so Teams simply can’t install there. If I know more about this I will update this article accordingly. Why do you create and install Teams to the folder %programdata%\%username%\Microsoft\Teams\ rather than install it to the default location %userprofile%\Appdata\Local\Microsoft\Teams? After reading your comment I wondered exactly the same. It doesn’t make any sense. I checked the documentation again and it should install in the user’s appdata\local folder. So I removed everything I installed it again, and somehow it gets installed in the programdata folder on my computer. Now I am not the only one, as you can read here on Github more people have the same issue. I tested it on the other computer and there it installs nicely in the users appdata\local folder. The other computer is a private one, so the only thing I can think of is that our Software Restriction Policy forces it to install in the programdata. We block every .exe in the appdata folders, so Teams can’t be installed there. I am not able to test this it, out I can’t think of anything else. There is no documentation about this.